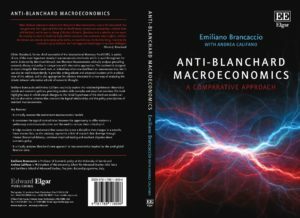 ANTI-BLANCHARD MACROECONOMICS. A COMPARATIVE APPROACH. By Emiliano Brancaccio with Andrea Califano. Presentation by Mauro Gallegati. Preface by Robert Skidelsky. 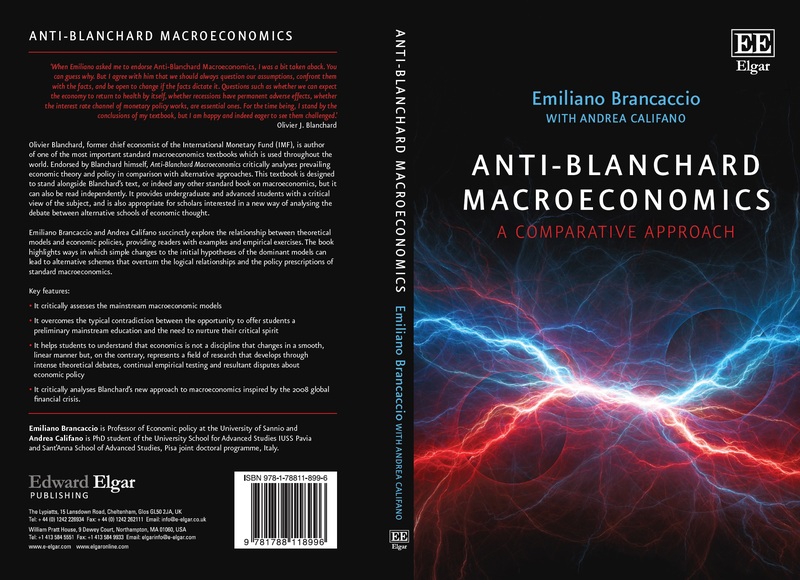 With an endorsement by Olivier Blanchard. Edward Elgar Publishing (UK and US) 2018, pp. 176. ISBN: 9781788118996.